Winter can be a difficult season to get through, especially if you’re a horse owner. The unapologetic cold can cause frigid temperatures in the stable, freezing the water supplies and making those early mornings of mucking out colder than ever. To combat cold stables, many horse owners opt for barn heaters to add that much needed warmth. However, horses are far more able to deal with cold temperatures than we are and, therefore, heating their stalls with stable heaters is generally unnecessary. And supplemental heat can cause more problems than it’s worth, if used incorrectly. So, how do you heat your barn during the winter? Well, in this article I will explain the numerous techniques you can use to ensure your barn is just the right temperature for your horse. It may be that you have never heated your barn before, in which case let’s take it back to basics. 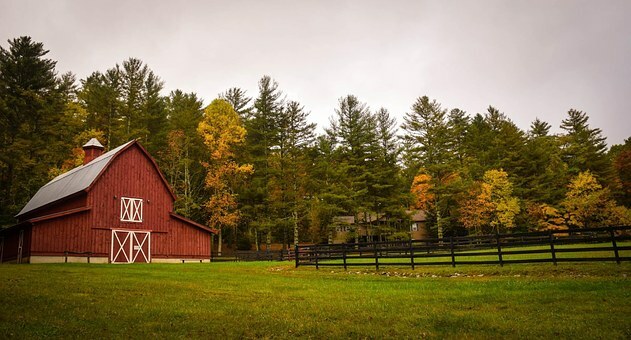 Like any large space, heating a barn can have its challenges, and depending on the size and requirements of your stable, it is important to consider what is needed before choosing the appropriate heat source. Due to the uniqueness of horse stables and their various purposes, sizes, designs, and infrastructure, a heat source that works for your friend’s stable may not necessarily work for yours. Before you consider buying a heater for your barn, there are a few factors that must be taken into consideration – most importantly, whether your stable actually requires extra heat and, if so, which areas need the heat versus those which don’t. Once you have thought about that, it’s time to consider which barn heating system will work best for you. The best thing you can do to ensure your barn is properly heated, it ensure there is adequate stable insulation. For areas of the UK that experience particularly harsh winters, installing insulation is more important than ever as it will help to keep your stable warm and comfortable for your horse’s – even when it’s snowing outside! The power of insulation is that it keeps the heat in your barn during the winter and out during the summer months. Simply insulating your horse stable will result in a slightly higher inside temperature. In the world of horses, fat equals warmth. Horses are extremely sturdy animals and, unlike us, they can tolerate seasonal changes. The biggest concern your horse may have during the winter is in regards to maintaining his body temperature. Horses have large fat reserves that help insulate them and keep them warm during colder seasons. During the winter, your horse needs to consume extra fat and calories to maintain a comfortable body temperature in the stable. By increasing your horse’s hay and grain rations, you can help keep his fat reserve up in preparation for those colder days. Naturally, every horse will differ, so it is important you talk to your veterinarian for more advice. Having a heater in the stable is not necessary to keep your horses warm, as they are rather good at regulating their body temperatures. However, some horse owners prefer to keep an infrared heater on in their stables overnight when it’s snowing or particularly cold outside. Infrared heaters are one of the safest barn heating solutions as they do not blow heat around, so the air inside your stable won’t become dry or suffocating for your horse. Radiant heat, produced by gas heaters, is actually soothing to horses as it replicates the warmth from the sun. Infrared gas heaters are safe to use in stables and are generally lightweight, making them easy to move around your space to accommodate for extra heat as the need for it arises. However, before purchasing an infrared gas heater for your stable it is important you do your research thoroughly. Even if you decide that your horse stalls do not need extra heat, it does not mean that other parts of your stable do not need additional heating. During the winter, you should consider heating your barn’s tack room to help keep your equipment from becoming damaged or cracked in the cold. It is also extremely useful to heat any area of your stable housing a sick, injured, or young horse to help keep them comfortable. It is also important that the space around your water tank is heated to keep your horse’s water supply from freezing. All horses should be closely monitored in a barn that is heated, to ensure they are not suffering any health problems as a result of the temperature. When heating your barn during the winter, it is essential you ensure the space is properly ventilated. Closed barns tend to suffer from increased humidity levels and this, combined with the warm temperature of a heated barn, can irritate your horse’s respiratory system. This can result in chronic respiratory problems. To avoid this, ensure that your barn is properly ventilated. To find out more about ventilating your barn, read more here. During the winter, horse care can be difficult. As mentioned above, your horse requires a well-ventilated stable for protection from the elements, extra food, a good coat of hair, and maybe even a blanket! I would highly recommend that you stock up on hay and be prepared for winter power outages. If you would like more information about stables, ventilation, and heating your stable during the winter, please do not hesitate to call us today!